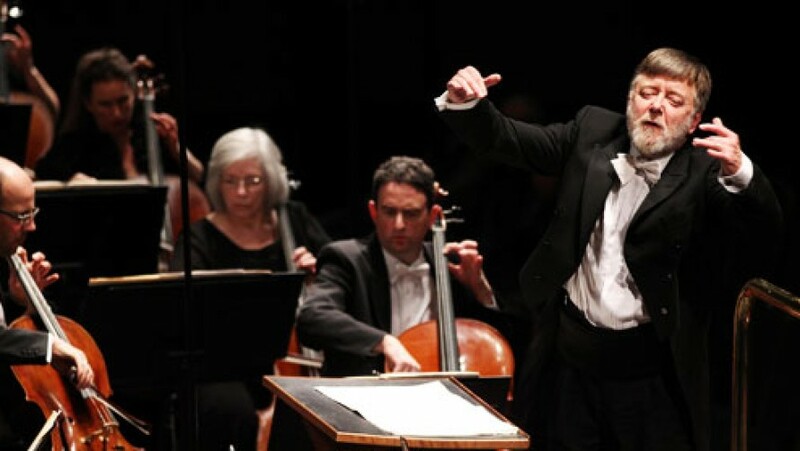 The Melbourne Symphony Orchestra will make its debut at five of the world’s most esteemed series and music festivals in August 2014 under the baton of Chief Conductor, Sir Andrew Davis. The MSO will perform at the; BBC Proms (London), Edinburgh International Festival, Concertgebouw Summer Music Series (Amsterdam), Mecklenburg- Vorpommern Festival at Ulrichshusen (Germany) and Tivoli Concert Hall (Copenhagen). Full touring details and dates on following page. “The invitation to perform at these venues, alongside the world’s most prestigious orchestras and artists, is a great honour and a credit to the MSO and its Chief Conductor’s international reputation,” André Gremillet, MSO Managing Director said. “It’s a short tour but it’s a very prestigious one, and one I’m very excited about because this is a very happy association for me. I love the Orchestra, I’m very proud of the Orchestra, and I think we’ll give some absolutely stunning concerts.”Sir Andrew said. “For me, to personally be taking the Melbourne Symphony Orchestra to the Proms and to Edinburgh, the two great summer festivals in the UK, is particularly exciting. Also that we are playing in Holland, Germany and Denmark,” Sir Andrew said. Throughout the two-week tour the MSO’s program include Berlioz’ Symphonie Fantastique and two major works by Richard Strauss; the early tone poem Don Juan and his last work, the Four Last Songs, with Canadian soprano Erin Wall. Also featured will be The Warriors, the largest work in scale as well as in length by Melbourne-born composer Percy Grainger and Schumann’s cello concerto for which the Orchestra will be collaborating with cellist Truls Mørk. “I feel privileged to be bringing this incredible repertoire on tour, which is so diverse and so full of different aspects of life, colours, and styles, along with the sheer joy in music making that comes when I am with the MSO,” Sir Andrew said. “This tour will place Melbourne, and Australia, in the International spotlight, reinforcing the notion that, along with its shopping, sporting events, culinary fame and infrastructure, this wonderful city is illuminated and culturally rich with a classical music scene rivalling the world’s oldest and best,” Harold Mitchell AC, MSO Chairman said. As well as being the first international tour for the Orchestra since 2007 and the first with Sir Andrew, the 2014 European Tour coincides with several important milestones in the music world. It will be the final year of Sir Jonathan Mills’ tenure as Artistic Director of the Edinburgh International Festival, with programming this year centred around the anniversary of the outbreak of World War I and the themes of conflict and reconciliation that this inspired. “The Warriors is a great fit to the theme of this year’s Festival about the anniversary of the outbreak of World War I, having been written mostly during the War,” Gremillet said. “This rare performance of a major work by one of Australia’s most important composers will mark the beginning of the MSO’s commemoration of the ANZAC Centenary which will culminate in 2015,” he continued. 2014 also heralds Sir Andrew’s 70th birthday. There could be no more appropriate venue to open the MSO’s European Tour than at the Royal Albert Hall in London, in a concert given as part of the BBC Proms, a festival synonymous with Sir Andrew’s long tenure as Chief Conductor of the BBC Symphony Orchestra. “Sir Andrew is, perhaps, the conductor most beloved of this unique audience and an appearance with “his” new orchestra will bring world-wide attention for the MSO and Australian arts at large,” Gremillet continued. The MSO’s 2014 European Tour is supported by the Australian Government. The MSO is also grateful to all the donors who have generously supported the 2014 Tour, and expresses its thanks especially for the leadership and vision of Tour Virtuoso Benefactors: Harold Mitchell AC, The Ian Potter Foundation and The Pratt Foundation; and Maestro Benefactors: Marc Besen AO and Eva Besen AO and Gandel Philanthropy. Tickets for the overseas tour performances may be purchased for each concert online via the links below. The MSO does not have tickets for sale.